Learn how to keep your houseplants in tip top shape below. Each plant has its own likes and dislikes. Lighting ranges from low to medium to high. With low or shade lighting the plant should be placed well away from a window, but in enough light that would allow you to read a newspaper. 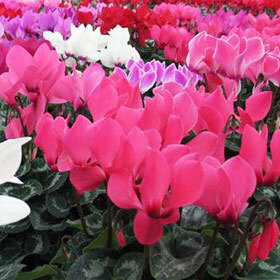 With medium lighting the plant should be placed near a sunless window or some distance away from a bright window. High lighting can take different forms. Direct light includes a sunny window. Bright indirect light would be on a sunless windowsill but not in direct sun. Roots need air as well as water. Keeping the soil saturated means death for your plants. Use a watering can with a long, thin spout inserted under the foliage. Immersion is an alternative for plants that do not like water on their leaves or crowns. Immerse the pot in water to just below the level of the soil and leave to soak until the surface glistens. Allow them to drain and then return the pots to their growing spot. The amount of water needed by the plants varies with the time of year, and the amount of light and the temperature that the plant is placed in. Houseplants need less warm air and more moist air than you think. Papery leaves generally need more humidity in the air than thick, leathery ones. If you room is centrally heated, group dry-air plants together, double pot specimen plants and mist the foliage as frequently as recommended. If the plant is growing in soil or compost it is advisable not to use a method of feeding which relies on a reservoir of nutrients. There are times when the plant may not need feeding, and when it is necessary. The amount of nutrients needed by the plant depends on the size of the plant and the size of the pot. The most popular method is to feed each time you water when the plant is growing or flowering. It’s always a good idea to use the plant specific fertilizers like: African violet fertilizer, orchid food, foliage plants food, cactus food and others. They are specifically designed for the needs of those plants. The best time for repotting plants is in the spring so the roots will have plenty of time to become established before the onset of the resting season. Choose a pot that is only slightly larger than the previous one. Types of Houseplants include: Foliage, flowering and cactus. Foliage plants will keep their display year round; Flowering plants provide a temporary floral display, and cacti create a unique display. Learn about common houseplant lighting for your plants.